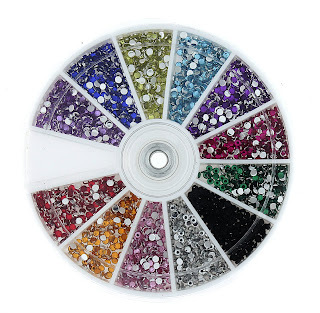 1200 Nail Gems/Rhinestones only $3.14 Shipped! Do you like to do your own nails? If so, you're going to love this deal! Head over to Amazon to pick up 1,200 nail gems/rhinestones for only $3.14 shipped! The set comes with 12 different colors and can be used to create pretty neat nail designs. For being so inexpensive, they have lots of great reviews!